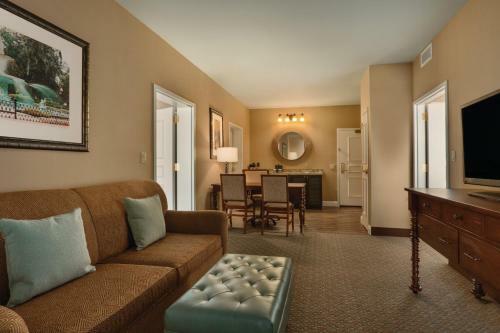 Rooms from $159.00 per night. 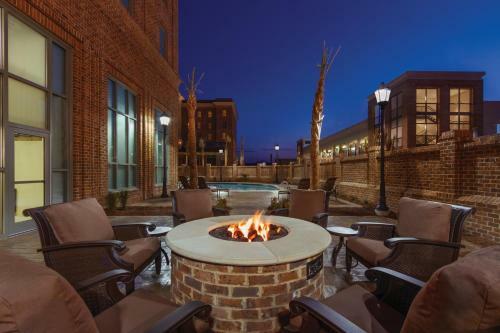 The freebies include Wi-Fi breakfast and evening snacks at the centrally located Embassy Suites Savannah Historic District a non-smoking property. 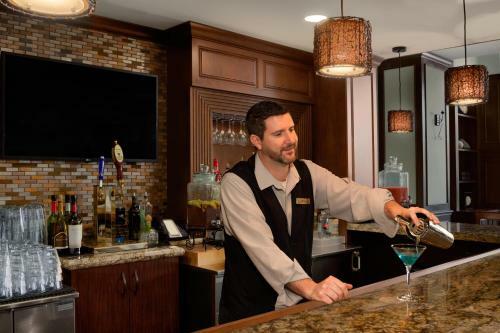 Guests at the non-smoking mid-rise Embassy Suites are welcomed with free Wi-Fi flat-panel HDTVs microwaves mini-fridges and granite countertops in all 150 rooms. 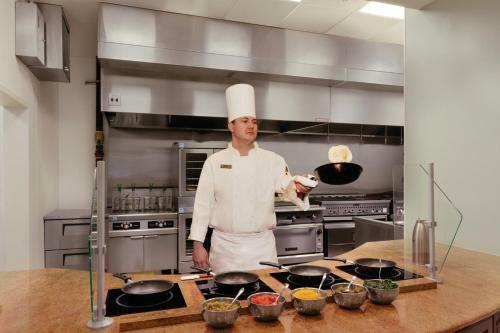 Complimentary breakfast offers a tasty way to wake up each morning. 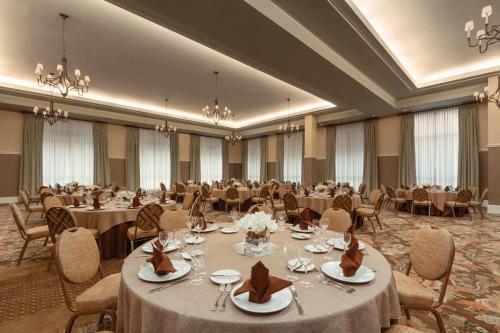 Guests mix and mingle over snacks and drinks during complimentary evening receptions. There's a 24-hour convenience shop on-site. 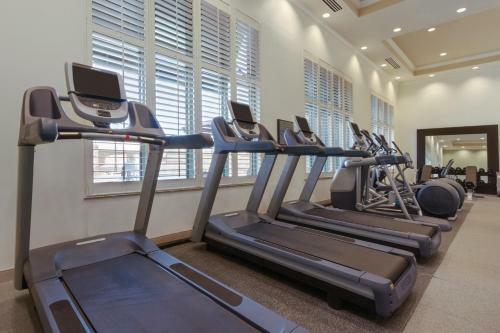 You'll also find a fitness room 24-hour business center and seasonal outdoor pool on the premises as well as a laundromat. Parking is available. 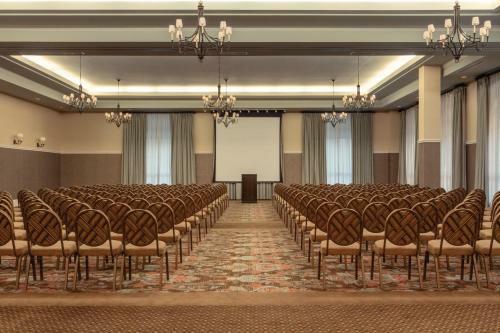 Set in Savannah's Historic District the Embassy Suites is a half-mile south of River Street and within a 10-minute stroll of the quaint shops along Broughton Street. It's a half-mile from the Jepson Center for the Arts the Savannah Children's Museum and the Savannah Civic Center. Hunter Army Airfield is seven miles away and Tybee Island Wildlife Refuge is six miles. 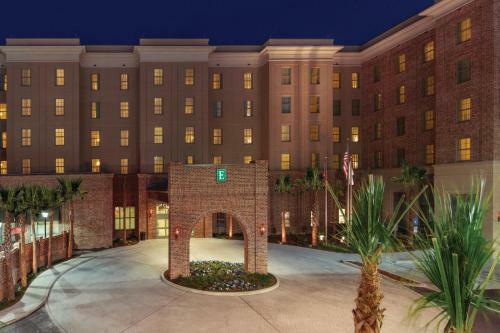 Savannah Hilton Head International Airport is 10 miles from the hotel. 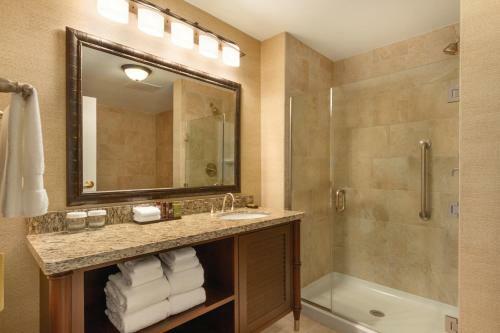 Add Embassy Suites Savannah to your free online travel itinerary.